MLNP.tv is crowdfunding through I Fund Women! Any donation you give will go directly to building out our platform and is so appreciated. Spread the word! 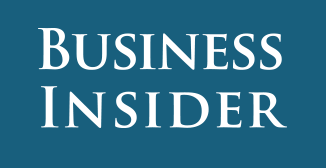 Written by Avery Hartmans for Business Insider. Originally published on November 11th, 2016. Karen Cahn spent much of her career in sales at some of the biggest corporations on the planet— Google and AOL. But when it came time to raise money on Kickstarter for a passion project she was working on, she had no idea how tough it would be to meet her goal. Cahn and her team at VProud Labs — a women-focused video company she founded after leaving AOL in 2014 — wanted to produce a stand-up comedy show about mental health. They thought launching the project on Kickstarter would be a straightforward way tohelp get it off the ground. When the fundraising wasn’t taking off, Cahn kicked into high gear and started cold-calling people she knew, showing up at friends’ houses, and using all the tactics she had employed in professional sales. The campaign met its goal, but Cahn had a realization. “I was like, ‘This crowdfunding thing is a total racket. All the people making money from my hard-earned sales thing are guys. We should start this for women,'” Cahn said. So Cahn decided to start her own crowdfunding platform: iFundWomen, which caters solely to female entrepreneurs looking to crowdfund their businesses. There are three main differences between iFundWomen and other crowdfunding platforms. Head over to Business Insider to read more about the crowdfunding platform that we’re SO EXCITED to be a part of!